What makes the game all the more interesting is the story line. It kicks of at the part where the Dinosaurs go rogue in Jurassic Park(The movie, Part 1). 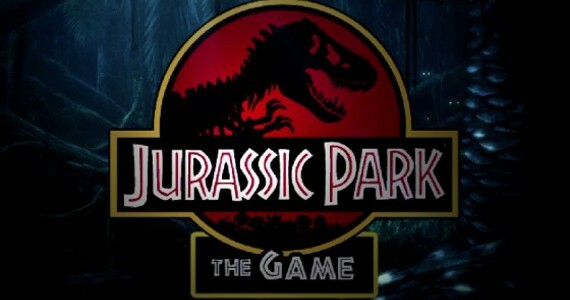 In fact, the story strongly connects to the part where Nerdy, steals a few Dino Embryos, to go against InGen(the firm that created Jurassic Park). Nerdy? Who's Nerdy? Take a look at video, and you'll get the memories back! So kicking of from there, the game then evolves around a Mr. Gerry Harding, a vet, and her daughter who has come to the island to spend some time with Daddy. The Dinosaurs go rogue with the power failure at Jurassic park, and then the fun begins. With mammoth creatures fighting to the clever Velociraptors, every little detail and location would thrill you(if you are a Jurassic Park fan, that is). Now to get you a bit more excited, take a look at the trailer. That's pretty much about the game-play and story. My say on the game - Awesome!(again)! A must play game for all(not geeky gamers, casual ones). The game moves pretty smooth at high settings(and a resolution of 1024x768). Go ahead, give a shot!